November marks the 75th anniversary of the Soviet counter-offensive at Stalingrad. The Red Army’s victory over the Nazis in this bloodiest of battles is considered to be a turning point in World War II. 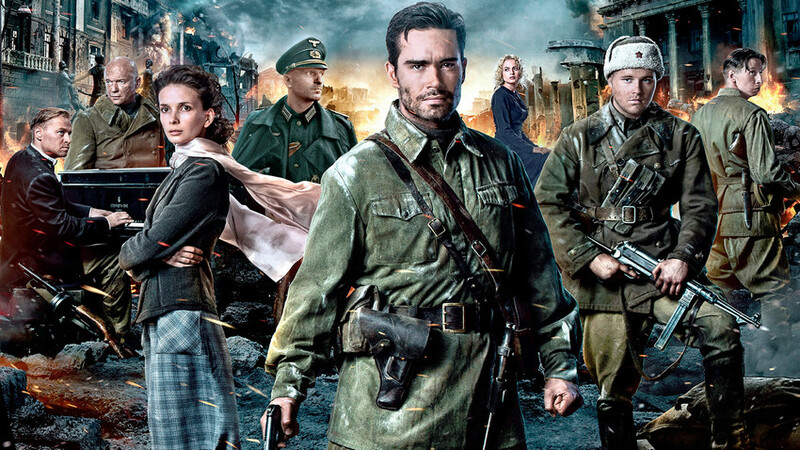 Russia Beyond looks at how Stalingrad has been portrayed in cinema, and there are at least six great movies about this historic battle that are worth seeing. This is the first Soviet movie about Stalingrad. Shot in 1944, the film is based on a play by iconic Soviet writer Konstantin Simonov and tells the story of Stalingrad’s defense from August to November 1942, which was the period of the most ferocious fighting. The movie shows that the “real heroes who stood their ground in Stalingrad were officers and soldiers of the Red Army,” not the Communist Party and its leaders. One of the film’s main roles was performed by a young actor, Yury Lubimov, who later became director of Moscow’s legendary Taganka Theater. “A critical depiction of the struggles of war, it is a harrowing portrayal of the lives of soldiers away from home, fighting in ruthless conditions on the cold Russian front, unsure of how the encounters will benefit either side. The panoramic views of the landscapes and the dark, melancholy sequences of the dialogues, which are Ermler's signature, are wonderfully executed and almost complete the expressions and performances of the actors,” said a contemporary reviewer, describing the 1945 Soviet movie directed by Fridrikh Ermler. The film’s creators confessed later that the idea to make the film appeared immediately after the Soviet victory at Stalingrad, which at that time looked like a miracle. The movie won a Grand Prix at the first Cannes Film Festival in September 1946. The title refers to the words of Prussia’s King Friedrich the Great. “You cursed rascals, do you want to live forever?” Friedrich allegedly said to his soldiers when they were fleeing the battlefield in panic. This was West Germany’s first movie on the topic, made at about the time when the last German POW had returned home from the Soviet Union. The movie centers on the lives of Wehrmacht soldiers and their allies from Romania before and after their surrender at Stalingrad, upon which they were taken prisoner. The movie’s director used authentic archival footage in the film. This film by Oscar-winning Soviet director Sergei Bondarchuk stands out among movies devoted to Stalingrad. Based on the eponymous novel by Mikhail Sholokhov, who won the Nobel Prize in literature, the film tells the story of a platoon that resists the German offensive at Stalingrad in the summer of 1942. The famous Soviet writer and actor, Vasiliy Shukshyn, played his last role in this movie, and overall the film starred many leading Soviet actors of the time, including Bondarchuk himself. The cinema magazine, Soviet Screen, called it the best movie of 1976. One of the latest Russian attempts to depict the battle was an ambitious project with a large budget by local standards - $30 million. Directed by Feodor Bondarchuk, the son of the creator of They Fought for Their Country, it was a box office success that grossed more than $68 million. Despite being a financial success, the movie stirred controversy, and the Culture Ministry was asked to ban the movie because it “made Nazism look heroic and twisted historical facts.” A petition to forbid the film was signed by 34,000 people. The ministry never publicly responded to that plea. What might have provoked such a reaction from some viewers? It could have been the portrayal of German soldiers; one review noted that they were shown as “humans,” with capacities to feel and love.